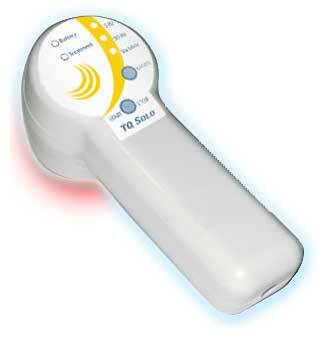 Chiropractic Care + Cold Laser Therapy = Relief! Call us at 734-482-7700 to take advantage of this exclusive offer. "I decided to try Chiropractic care for the upper, middle and lower back pain I was having. It has been ongoing for two or more years all while being treated by my PCP. I was only prescribed pain meds which only worked while in my system. All my activities were limited, if I was even able to get out and do anything at all. I was taking pain meds daily for 4-6 hours and once the meds wore off the pain came right back and was more severe. After only six weeks of Chiropractic care, I am more active with my little ones. They like to go for walks and play at the park. I would most definitely recommend Chiropractic care. The service I receive is amazing. I only wish I had come in sooner because now, there are no more pain meds for me and I feel like a totally different person!" "Yesterday, I came into the office with a lot of pain. My back/hip was bothering me and making my leg fall asleep. My shoulder hurt and my hands were falling asleep with carpal tunnel. Dr. Kirshner adjusted me and used his laser on my back, shoulder and hand. My back feels great, no pain and my leg has not fallen asleep! My shoulder hurts a little, but at least I can move and rotate it without so much pain. As for my hand, the swelling seems to have gone down and I was able to sleep through the night without it waking me. I am grateful that my pain is gone. Thank you for all you do for me!"